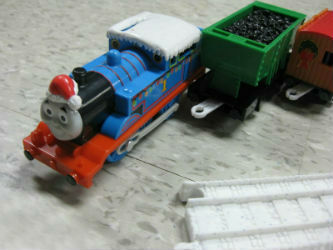 Trackmaster Motorized Railway Thomas' Big Holiday Haul Christmas Engine requires only 1 AA battery! Includes 2 feet of snow covered trackmaster tracks too! It's Christmastime on the Island of Sodor and Thomas has a festive delivery. 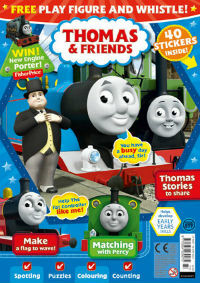 With lights and yuletide decorations on his cargo cars, Thomas is full steam ahead, spreading holiday cheer! This is a Trackmaster Thomas train set made just for the Christmas Holidays and this a perfect gift for children 3yrs and older. People mostly select this to be placed under their Christmas trees which looks fanatastic. This set is relatively light weight but strong and only requires 1 AA battery to operate. 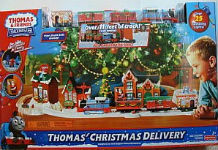 Essentially what makes this set special is the Winter Decorated Thomas train which includes a Red Presents truck, Green Hopper Car, Orange Brakevan and Green Christmas Decorated Van with 2 feet of snowy track included! This is enough to go around the base of a Christmas tree and makes a nice alternative to an electric train set for younger children. Additonal tracks can be added to extend the length of the train tracks, simply add more trackmaster tracks. 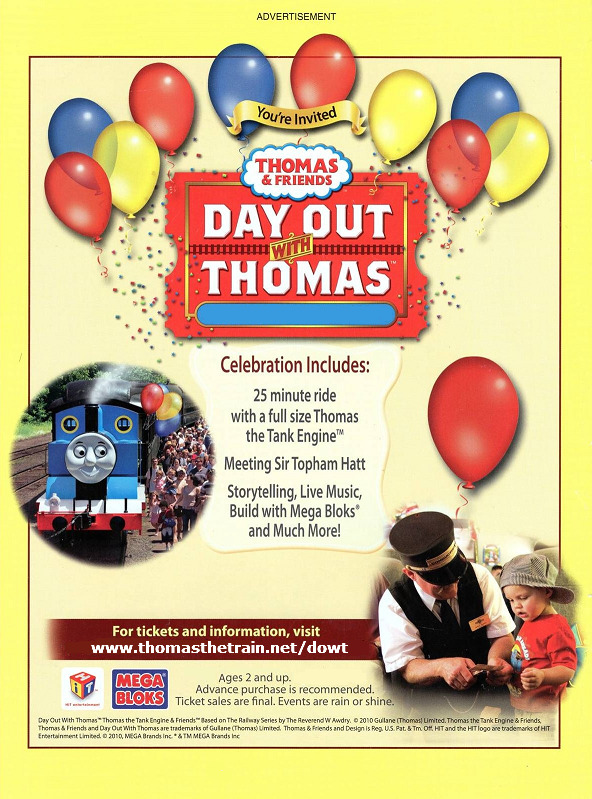 Thomas is full steam ahead, spreading holiday cheer! Not a complete track set - Expansion set is intended to expand your existing Trackmaster set.